This directive was adopted to control the risk of explosion and so protect workers likely to be exposed to the risk of explosive atmospheres (ATEX zones). Always a safety pioneer, MTS has had its M-ESD range tested by INERIS, a notified body in the European Community for application of the ATEX Directive. The INERIS Study Report No DRA-10-107959-04889A dated 20/04/2010 certifies that the materials used are antistatic, presenting no risk of ignition, and that shoes in the M-ESD range are therefore acceptable for use in ATEX flammable gas/vapour zones 0, 1 and 2, and dust zones 20, 21, 22. 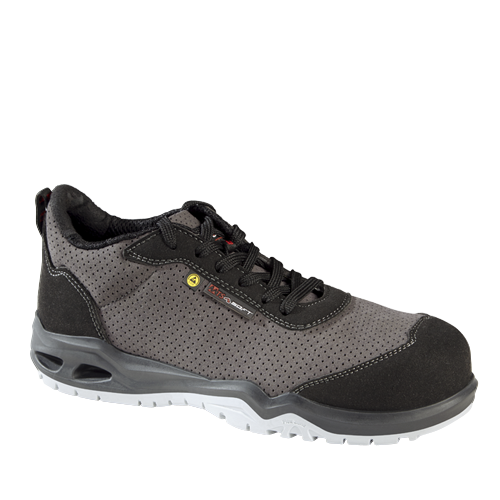 It is recommended that these shoes should also be worn on floors that dissipate electrostatic charges.